ESOPUS, Ulster County (79 acres) Excellent fishing opportunities and breathtaking views abound at this park, preserved by Scenic Hudson and owned by the Town of Esopus. 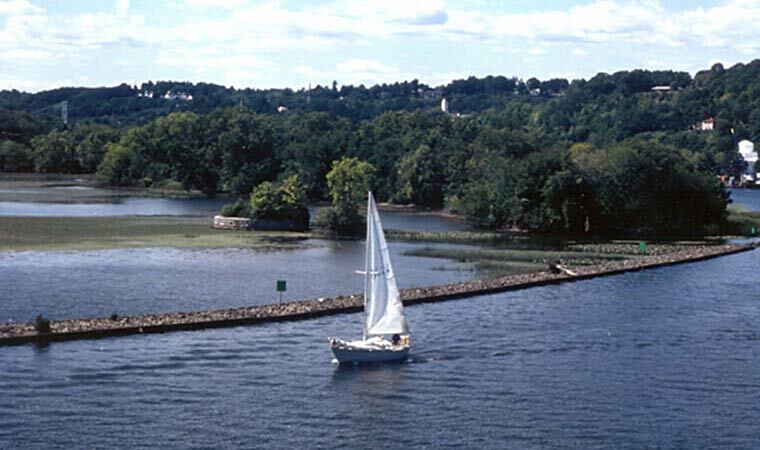 A half-mile of trails parallel Rondout Creek, leading through a wooded peninsula to a spit of land that extends far out into the river. For inquiries about Sleightsburgh Park, contact the Town of Esopus at 845-331-0676. From Route 9W in Esopus, head east on North Broadway, then right on First Ave., left on Everson Street. Park Entrance is on the right.